For years anything that was a porcelain blue and white jar that had an Asian motif was simply a ginger jar to me. I had no idea until I opened my Etsy shop that there were differences. AND that there all kinds of differences in ginger jars. 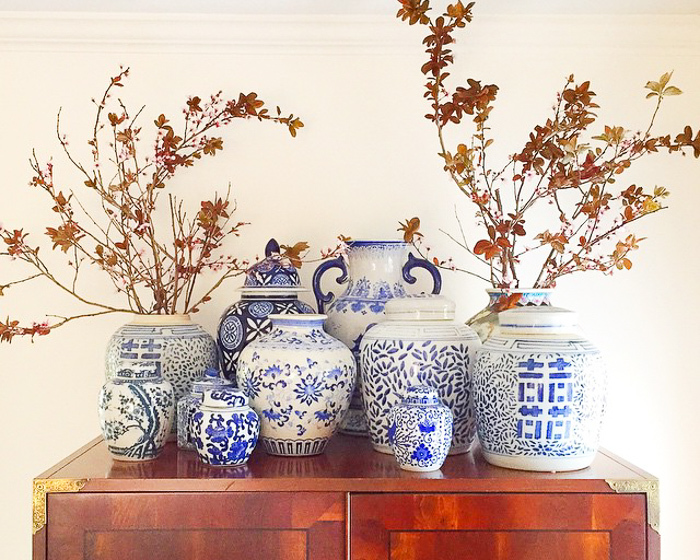 Here, my friends, is your Asian Porcelain Jar Tutorial…. WHAT IS A GINGER JAR? Ginger jars were used to store and carry spices and herbs in Ancient China. Important spices as salt and ginger were put in these beautiful containers. It wasn’t until they came to Europe that they began to be called “Ginger Jars.” (Those clever Europeans). Over time, they became more of a decorative piece than for storage. HOW TO IDENTIFY GINGER JARS? Ginger jars are traditionally round, wide in the shoulders with a small mouths. Their lids are traditionally domed but have no additional ornamentation. 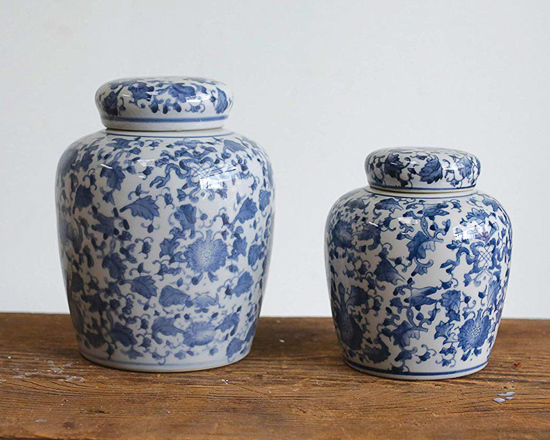 You are most likely going to think of a blue and white ginger jar when you imagine one. And with good reason, they are undoubtedly the most popular style of the jar. But, you can also find them in a variety of other colors. Some of my favorite styles include Imari and Famille Verte/Famille Rose. Temple jars are actually the jars that have a protrusion or some kind of decoration on the top and have a more of a fishtail shape. Many say these were originally used to hold the remains of loved ones. Just like ginger jars, however, they were eventually used to hold spices, herbs and salts. Who else has mistakenly called a Temple Jar a Ginger Jar?